Join us as we seek to discover God’s vision…God’s more for our lives. 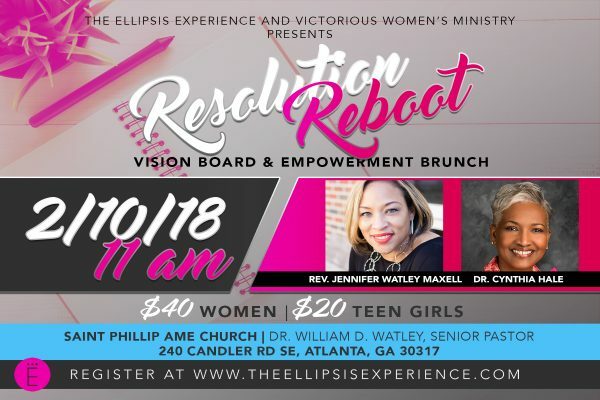 We have assembled a powerful group of visionaries to guide you as you: (1) Discover God’s vision for your life, (2) Clarify your goals and intentions for this year, (3) Create a Vision Board to help manifest God’s vision for you, and (4) Meet new people and expand your circle of positive, like-minded women and teens. Your ticket includes: (1) Full Brunch Buffet , (2) All Vision Board Materials, (3) Visualization Worksheets, and (4) Enter- tainment.